After some much needed time off over the Christmas Holidays I have reopened Sonia B Textiles’s Etsy shop! 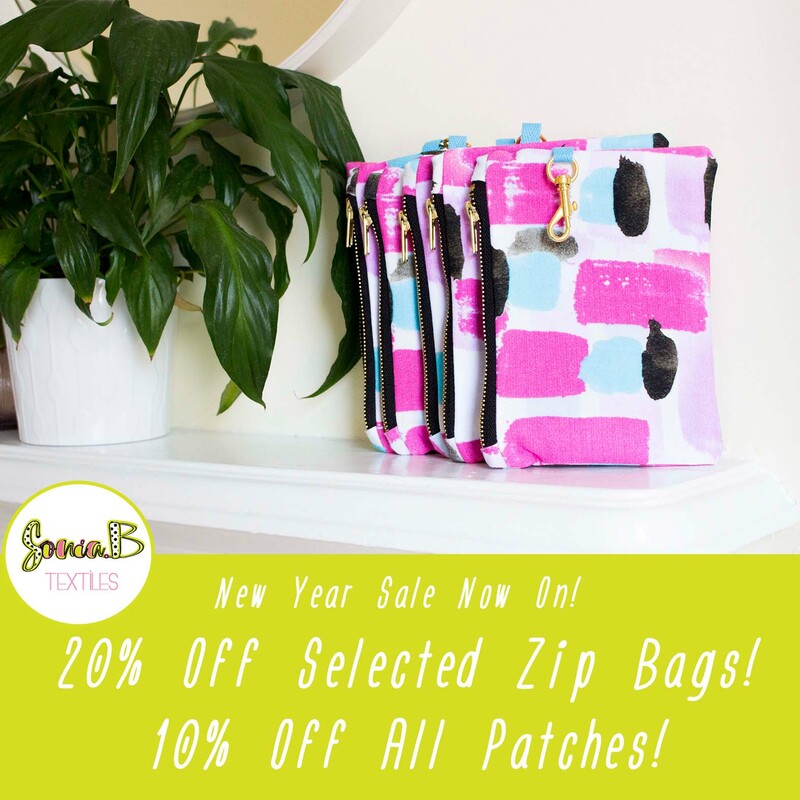 Throughout the month of January you can enjoy 20% off selected zip bags and 10% off all our embroidery patches! Discounts have already been applied so no promo code necessary. As I am writing this post I’m sitting in my home studio thinking about the direction that Sonia B Textiles is about to take. I’d love to do some more markets this year but also thinking about putting some more energy into the Youtube channel and developing some more useful content on there. As they say, watch this space. I can’t wait to see how this year unfolds.